People didn’t start using the term “smartphone” until 1995, but the first true smartphone actually made its debut three years earlier in 1992. 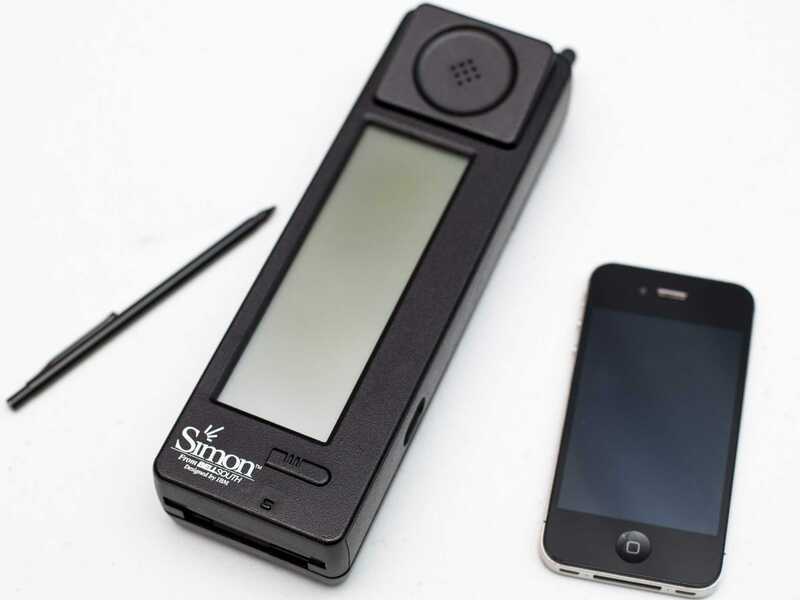 It was called the Simon Personal Communicator, and it was created by IBM more than 15 years before Apple released the iPhone. IBM’s Simon was the first phone to meld together the functions of a cell phone and a PDA, and it launched with the price tag of $899 with a service contract ($1,435 in today’s dollars), according to Byte Magazine. The Simon was far ahead of its time, however. The smartphone featured a monochrome LCD touchscreen measuring 4.5 inches by 1.4 inches, and it came with a stylus. Aside from its calling capabilities, you could also use the Simon to send and receive emails, faxes, and pages. There were also a suite of built-in features including a notes collection you could write in, an address book that looked like file folder, calendar, world clock, and a way to schedule appointments. You could also run third-party applications on the Simon if you went to the trouble of freeing up enough space internally or purchased a special PC card to insert into the phone, according to a press release announcing the first third-party Simon application. While the Simon would never achieve the widespread acclaim of the iPhone or Android phones, IBM did manage to sell approximately 50,000 units, according to Bloomberg Businessweek. You can see what using the Simon Personal Communicator looked like in the review below, courtesy of TekGadg.